Are you looking for an affordable sewing machine? One that will also give you the convenience that you need for all your sewing needs? 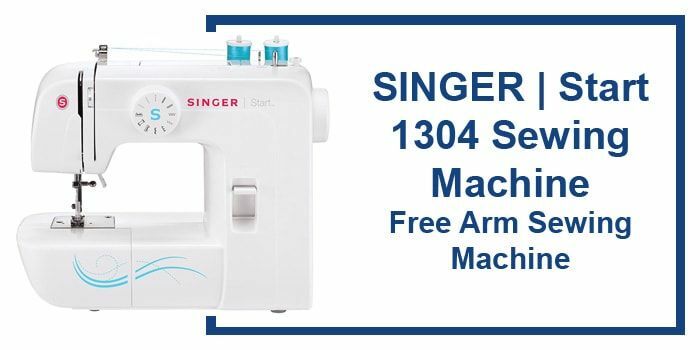 Look no further than the Singer 1304 Start Free-Arm Sewing Machine. 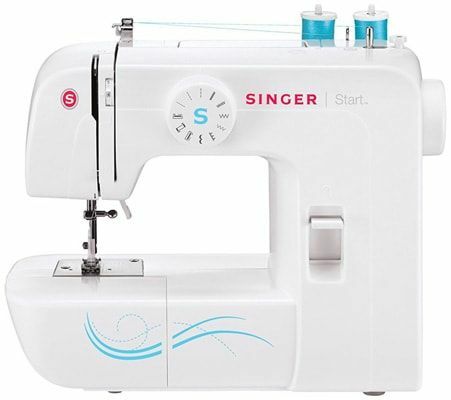 It is a machine that makes sewing easy as it is fundamental and a good choice for beginners. This sewing machine is ideal for children who want to learn the art. The sewing machine comes explicitly with 6 built-in stitches. They are buttonhole, straight, zigzag, blind hem, satin, and scallop. The ease at which you switch between the stitches is what makes the machine unique and outstanding. It has a stitch dial that makes switching between one type of stitch to another very easy. You don’t have to worry in case power goes off. You can just switch on the in-built light to illuminate your working area. The feature is convenient for use in areas that are not well so lit. You can quickly follow your work to ensure that you are doing the right thing. This is a feature that does not come with many sewing machines. Just at a press of a button, you can cut off the thread as required once you are through with stitching. This means that you can comfortably do away with scissors and other cutting tools. By merely following the instructions that come with the machine, you can automatically disengage the needle. The feature makes winding off the bobbin safe and easy. Once the bobbin is filled, it stops turning, and the needle disconnects itself. Ensure that you stick to the instructions to avoid causing damage to the machine parts. The model comes with a free arm that makes the machine portable. The arm is removable, making it possible to access the collar, cuffs, hems, and waistbands. The carry handle is easy to fix and detach as per your convenience. Beneath it is a compartment that gives you room for storage. This means that you do not need to have extra storage space for your tools. Dual spool pins that allow for the use of two needles. When you buy the machine, you will realize that this list cannot be exhaustive of all the features of this sewing machine. Despite the many cons, the machine is still a top choice for many lovers of sewing. Q. Where can I buy this sewing machine model? A. The machine is available in most Singer dealer shops in almost all major cities around the world. You can only place your order online and have it delivered. Q. What should I do if I am not satisfied with the quality of the machine? A. The product comes with a warranty. Just return it to the dealer that sold it to you and get a replacement. Just make sure that it is not broken or damaged in any way. Q. Can I use it as a beginner? Yes. It is recommendable for both experts and beginners. For anyone looking for a sewing machine with a multitude of benefits, I would suggest that they buy the Singer 1304 Start Free-Arm Sewing Machine. 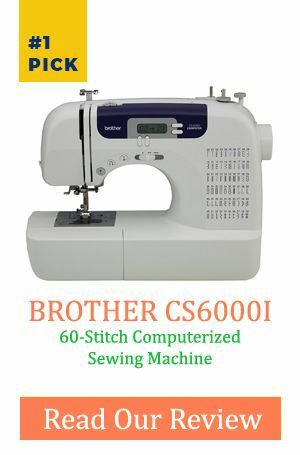 Although it falls under the category of kid’s sewing machine, adults can as well use it and derive the same experience as when using other models. The advantages of the machine outweigh the disadvantages. Its portability makes it ideal for users who are always on the move. Should you have any problems while using it, do not hesitate to contact the makers or sellers of the machine. Remember that it is also all-purpose so you can use it for the majority of your projects.